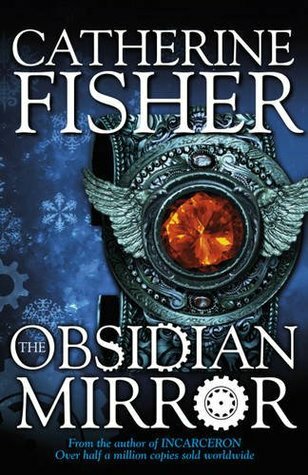 The Book Rat: Interview with Catherine Fisher, author of Obsidian Mirror! 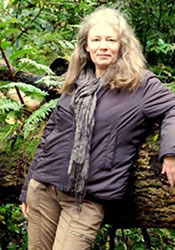 Interview with Catherine Fisher, author of Obsidian Mirror! This week is the UK release of the first book in Catherine Fisher's newest series, and though all of us here in the US have still got a bit of a wait (it doesn't come out until April, Stateside), that doesn't mean we can't take part in the festivities, right? Right. So today I have an interview with Catherine (NYT best-selling author of the Incarceron and Relic Master series'), who chats with us a bit about bringing the first book in her Chronoptika series, Obsidian Mirror, to life. Hi, Catherine! Welcome to The Book Rat! So, what inspired Obsidian Mirror? I just wanted to write something with time travel, and about whether we would change past events if we could. I had the character of Oberon Venn in my mind quite early, and then the story developed around him. Did you research, listen to playlists, watch certain movies, etc. to help you along in creating the world/characters? No I just sit down and make notes. I think stories come out of stored knowledge and sensations, rather that from going out and deliberately looking for things. To my understanding, Obsidian Mirror switches between multiple protagonists and multiple timelines - was it a challenge keeping the voices/timelines straight? Was there anything you used (timeline maps, post its, character dossiers, etc) to keep it all straight, or was it more organic and sort of natural? It is difficult and I sometimes get muddled, so I have a few notes and time-lines. But most of the time it's more organic in that I just let the story grow. There are often inconsistencies and some people are irritated by them but they don't worry me if they are small. Do you have a set number of books planned for the Chronoptika series, or are you more the "lets see where it goes" type? I am hoping the series will run for four books, each a season of the year. But I don't know yet if that will happen- it's just an idea. If you could cast any character in the book, which character/actor would you choose and why? I don't know much about actors. I don't really picture real people as the characters. As Obsidian Mirror is a middle grade book, what were your favorite books when you were a "middle grader" yourself? If you mean about 12 years up, I would say a lot of science fiction- people like Asimov and Arthur C Clarke, lots of Arthurian myth, Tolkien's Lord of the Rings and The Silmarillion, and Alan Garners novels, especially The Owl Service. If you could introduce one of your characters to a character from one of the books you just listed, who would you introduce and what would that meeting be like? I think Piers and Gollum might have an interesting conversation. Time travel meets evil fairies. Awesome. Thanks so much for stopping by, Catherine!! Seriously, the book in a tweet sold it for me. Time travel + faeries = WIN!!!! I don't always like faery books but this one sounds great, as it has enough other inventive plot points to ground it.